Pet friendly room for medium to large dogs, with a private fenced patio! 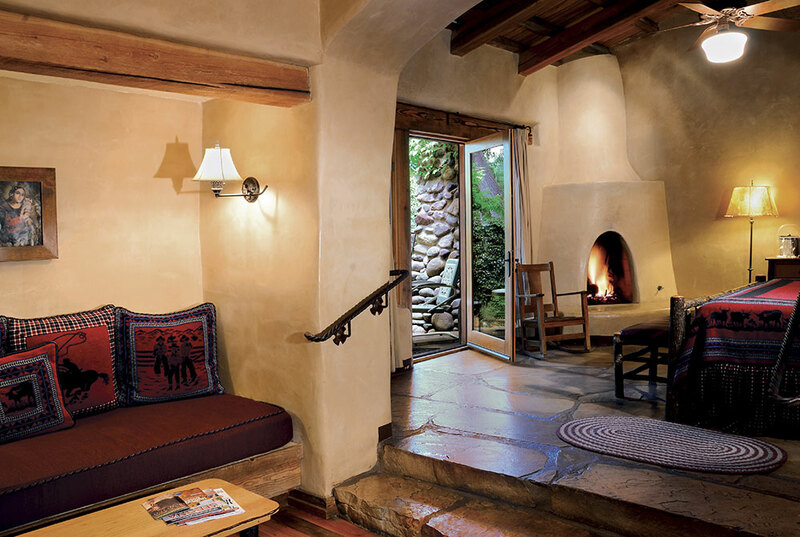 These luxury Sedona accommodations feel like a suite of several rooms. The unusual vaulted ceilings and flagstone floors serve as a dramatic backdrop for rustic hickory furnishings and vintage coverings on the king-sized bed. The step-down sitting room features a twin-sized built-in daybed that can accommodate an extra guest. The bed faces a glass door, which opens onto a charming semicircular patio and spacious private courtyard. 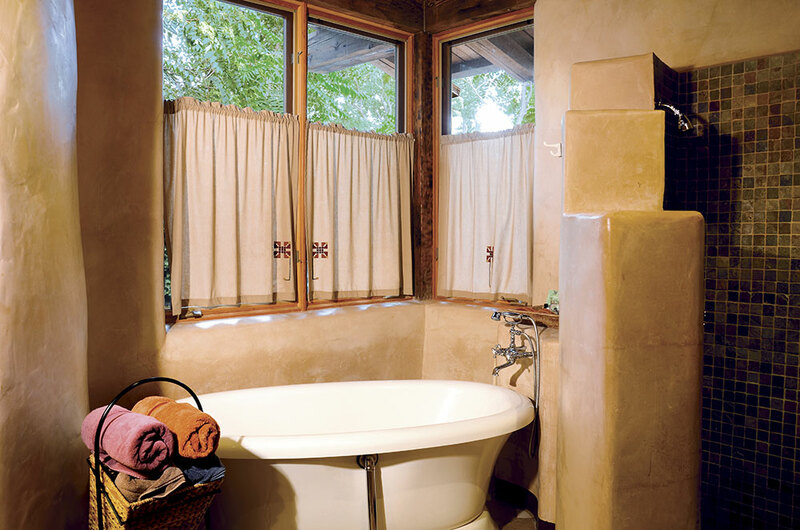 The bath features a high vaulted wood beam ceiling, a freestanding pedestal whirlpool tub with corner windows overlooking garden views, and a variety of slate tile and mosaic detail on the separate shower and throughout. This is a pet friendly room for medium to large dogs and has a large fenced yard.